Ahhh, it's good to be back! 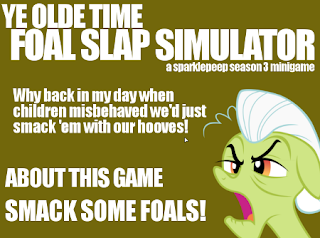 While I was off hunting Wompas in the hinterland, Sparklepeep over on DeviantArt released the next season 3 minigame. Nothing fancy: just whack Babs Seed to keep her in the air, and try to launch her as high as possible! For the first half of last Saturday's episode, I was ready to smack her myself. So, how does the whole minigame-an-episode concept sit with you? 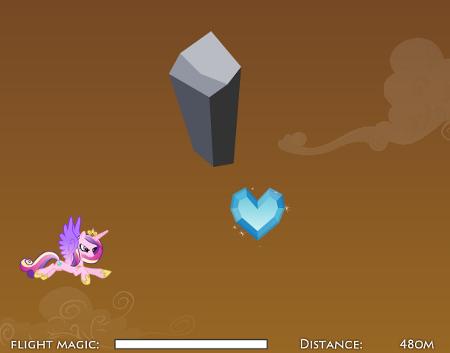 Do current pony games in small doses hit the spot, or do they waste your time? Tell us in the comments. Bonus: find the season opener minigame here. I have many fond memories of Mark Sprague's Pony Platforming Project series, and the first game in the series happens to be the subject of my very first review on Equestria Gaming. 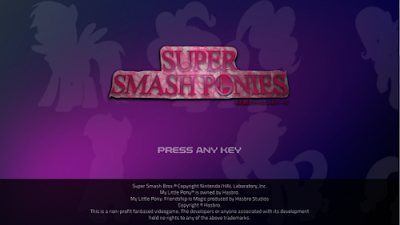 However it has been over half a year since the third game was released, and I had somehow nearly forgotten about the series when Mark sent me a couple emails saying that the wonderful folks over at The Brony Show had played a demo of the unreleased fourth game and gave us permission to put the entire series up on the Arcade (yay!). He also let me try out the tech demo and while I'm not allowed to share it with you folks I can tell you a little bit about the game and show you a couple screenshots. Of course you could always watch episode 76 of The Brony Show and skip ahead 32 minutes for the interview/gameplay footage, but in case you don't want to sit through all that you can head on below the break and see what we've got. Happy U.S. Thanksgiving, everypony! Regardless of where you live, November's as good a time as any to eat good food and play pony video games. Because that's what this holiday is for... right? 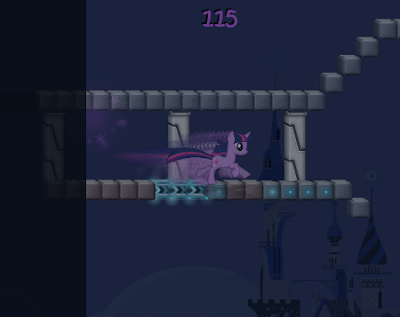 Anyhow, Zilven Sparkle's whipped up a gravity-based pony minigame to keep you occupied. 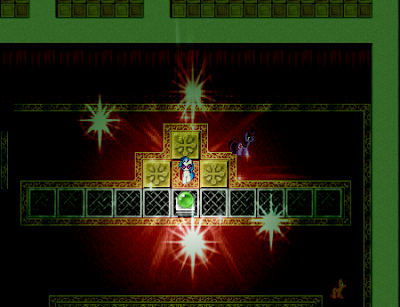 Help Twilight master gravity spells, and try to avoid falling to your doom for as long as possible. The game appears to use the same animation as the upcoming Super Smash Ponies, and looks great in practice. If you've got .exe download problems, the HTML5 version can be found here, although lag and graphical issues are to be expected. This has been on the posting roster for a few days, but our tactical posting bot dropped the ball. For those unaware, the notorious futzi01 has created the first game to feature the much-lauded sport of wife tossing! Hurl Cadance as far as possible, collecting crystal hearts to stay airborne. Go! For the Crystal Empire! Zilven Sparkle and the team behind Super Smash Ponies have decided to scrap their current work and start from scratch - so that they can make the game bigger and better than ever! Looks like Fighting is Magic may have some competition to look out for. Screenshots of the new look after the break! How do you guys feel about episode-themed minigames? Really, that amazing? Well, if you insist. Apparently, Sparklepeep over on DeviantArt has a whole series planned. Nothing too fancy here - blast the Pinkie clones with Twilight lasers while avoiding the original. Have at it! Good afternoon/evening/morning, fillies and gentlecolts! If you've already recovered from your Pinkie-induced highs, then listen up. For the last several months, the DarkkyShadow team has been hard at work upon the bluntly named MLP: RPG, an open world ponies-on-earth role-playing game. More about the project after the break! 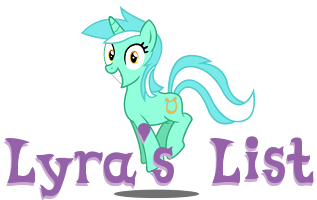 While most of us are out celebrating the return of pony and weathering the storm of Gak, I was checking out a few updates to the multiplayer chat room Ponyplace. Since I last visited, the interface is brighter and cleaner, and overall the site looks like it's been given a graphical facelift. It's also started to take on a few more game-like characteristics - characters are bought with bits, and you can save your account in between visits. Can we overload the server again? That remains to be seen. 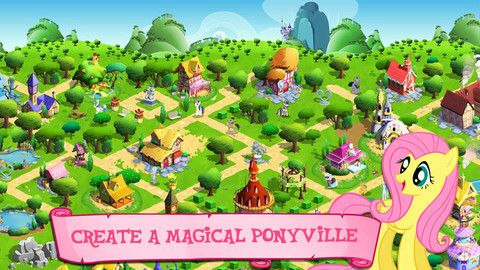 My Little Pony - Friendship is Magic (Gameloft Game) Released! 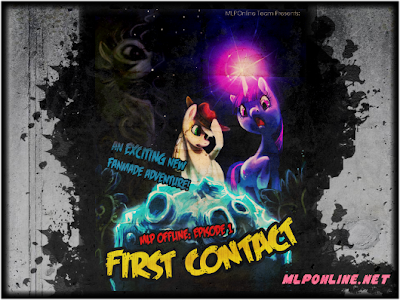 Gameloft's anticipated take on MLP:FiM has been released! Unfortunately, it's only available in Australia and New Zealand at time of writing, but its download page (the iTunes NZ site is linked above) has plenty for you to slobber over even if you can't yet get it working on your iPhone or iPad. More after the break! Update: The app is now available in the US. Find it here! Update #2: The android version can be found here. Update #3: Looking for a boatload of friends? Check out EQD's official name share post. When I woke up this morning, I certainly wasn't expecting to be wowed by a Pinkie Pie platformer. Especially not one with a name as generic as Pinkie Pie's Big Adventure. However, it just goes to show that you should never judge a book by its cover! With stunning visuals, musical score, and several hours of playtime (I'm not even close to done,) this is exactly what fans of the pink pony have been waiting for. Happy gaming! I wanted to call this post "First Contact First Impressions," but it came off sounding strange. 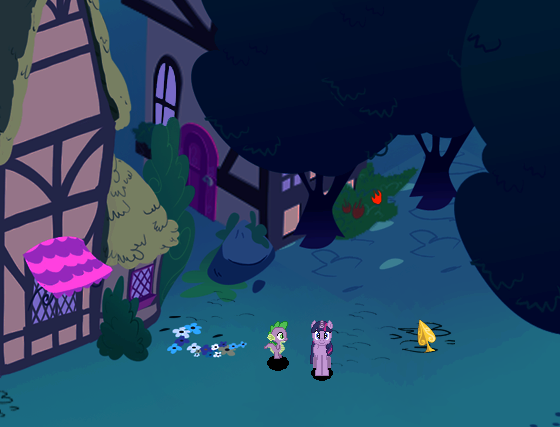 As I'm sure most of you know, the first episode of My Little Pony Online (a little misleading, given that it's currently a single-player download) was released just yesterday. I've played through a part of the game, and found a few amusing glitches along the way. Check out the rundown after the break!